Most Democrats and independents would likely not be OK with the idea of a Donald Trump presidency. Because of this, Donna Brazile's comments about Trump didn't go far enough to speak truth about the overtly racist rhetoric that many of his most ardent supporters have had no qualms about openly espousing. 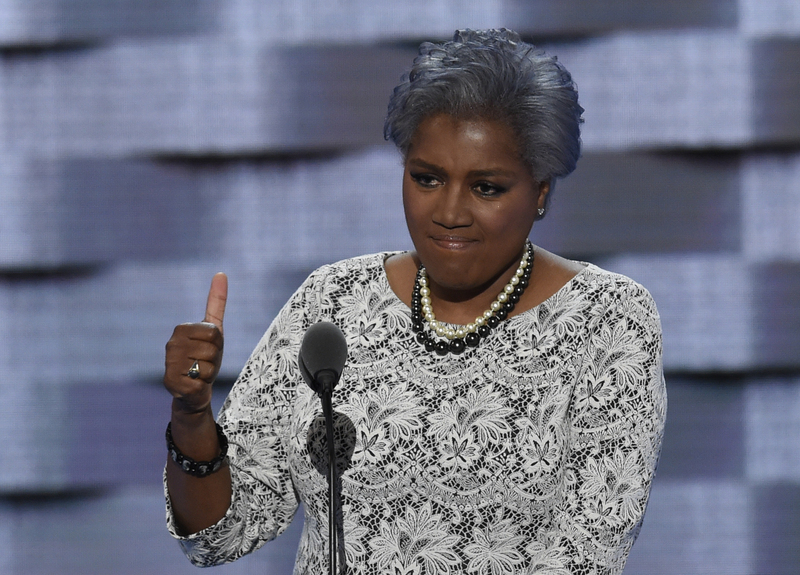 Brazile is a longtime Clinton insider and is currently acting as interim head of the Democratic National Committee (for the second time). She's already taken Trump to task several times before and during this election cycle. One of her stronger rebukes came when she told ABC's George Stephanopoulos: "This is a guy who is now soaking up this hate and he's spilling it back out." But her comments to Martha Raddatz on the Aug. 28 edition of This Week fell somewhat short when it came to calling out the resurgence of a new kind of militant, race- and identity-based rhetoric espoused by many on the new Right. Brazile told Raddatz: "This sort of alt-right movement is very disturbing, it's almost like a renaissance of racism." If more proof is needed that Trump's candidacy has ushered in a new racist renaissance, a study from the Southern Poverty Law Center has shown that even elementary school children are picking up on Trump's tone, which should be alarming to pretty much everyone. Far from making America great again, Trump's online confederacy of alt-right and white nationalist supporters are stoking hatred and fear the likes of which haven't been part of the discourse in American society for some time. Between light-hearted memes featuring Adolf Hitler and the tired Holocaust jokes that are staples on some social media sites, to the violent outbursts at his rallies, Trump's supporters are playing with a very dangerous fire. As head of the Democratic Party, Brazile should feel free to go a step further and just call a spade a spade. The language we use helps create and shape the world that we live in. Brazile's role as a leader in the big-tent Democratic Party should give her more than enough of a platform to strongly condemn the fringe, hateful ideology currently feeding the GOP presidential campaign.